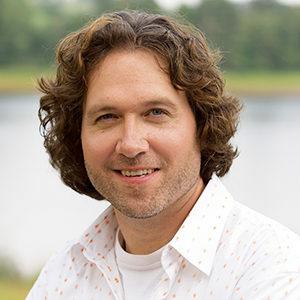 Michael Smith is a chef and the author of nearly a dozen cookbooks, including his most recent title, Make Ahead Meals. He’s also the host of Chef Michael’s Kitchen, Chef at Home, and Chef Abroad on Food Network, and is a judge on Chopped Canada. Smith lives on Prince Edward Island with his wife, Chastity, and their children, Gabe, Ariella, and Camille. This bowl of comfort features all the hearty, stick-to-your-ribs goodness of traditional split pea soup with the added benefit of tossing everything in the slow cooker and walking away. Think of these as an easy mashed potatoes casserole loaded with bacon, Cheddar, and sour cream. Talk about awesome game day grub.